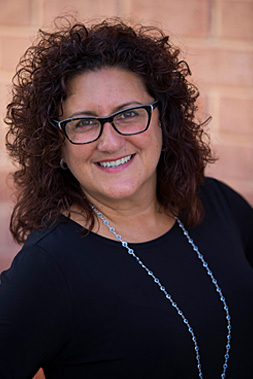 Lynn Pezzullo is Senior Director of Quality Innovation for the Pharmacy Quality Alliance (PQA), where she is responsible for identifying and prioritizing new measure concepts and overseeing the subsequent successful development, testing and endorsement of new PQA measures. She is the staff liaison for PQA’s work focused in the areas of specialty pharmacy and physician-level performance measures. Prior to joining PQA, Lynn served as Senior Program Administrator with Healthcentric Advisors, the Rhode Island (now New England) quality improvement organization (QIO), where she was responsible for working with healthcare teams to implement quality improvement initiatives to drive improvement on quality metrics. She also served 14 years with CVS Corporation where she fulfilled various roles, including Manager of Organizational Development for Pharmacy. Lynn received her Bachelor of Science Degree in Pharmacy from the University of Rhode Island and continues to stay engaged with the College of Pharmacy as a member of the Dean’s Advisory Board. She also is an active member of the RI Pharmacists Association, previously serving as President.